As we turn the page to a new year and we struggle to remember to turn our 8s into 9s, it is important to look back at what happened in Haiti in 2018. There was some good, some bad, and some lessons to be learned economically and politically that we can use to change Haiti into a place that is business-friendly and a champion of growth moving forward. In my book, From Aid to Trade, and in past pieces, I have explored why it is important to attract investment, how we move from aid to trade, and why this growth that I talk about that comes from it is important for Haiti’s future. I will start by laying out some economic indicators and data that encapsulates Haiti’s economic situation in 2018 and then move toward my thoughts on some of the events that happened in 2018. Below is a chart showing the trade deficit trend from January 2018 – August 2018 (latest data available). Below is a chart showing a trend of Haiti’s Exports from January 2018 – September 2018 (latest data available). Below is a chart showing a trend of Haiti’s Imports from January 2018 – August 2018 (latest data available). By looking at the following chart it is clear that Haiti lags drastically behind the rest of the world when it comes to attracting foreign direct investment, and although data for 2018 is not yet available, the disparity and trend is clear in comparison with developing economies, other individual countries, the region, and the world. The unemployment rate in 2017 was 13.99%, according to the World Bank. Because it is difficult to capture dense data in Haiti and with the prevalence of informal workers, this number can be taken with a grain of salt. In 2018, the currency was devalued in relation to the dollar. All this means is that we purchasing power became weaker… we went from seeing $1 USD equal around 64 gourdes (in January) to around 77 gourdes at the close of the year. Inflation was at a whopping 13.27%. Inflation is simply the natural rise of prices in an economy and decrease in the value of purchasing power. Talk to anyone… things like rice, vegetables, chicken, rent, transportation etc… became more expensive, and it hurt the people. Here you can look at the changes in price for staple items in different regions of Haiti for both domestic and imported goods. As we see in the charts, Haiti is running a severe trade deficit—we are importing more than we are exporting—and this has negative long-term implications for employment, economic growth, and the value of the gourde. Economic indicators can tell a small part of the story for a country, but I think that a few major events encapsulate the state of Haiti’s economy in 2018. Talking about them helps us to understand the implications it has for our country. The infamous July fuel price hike, which occurred after a mandated subsidy-lift on fuel, caused instability in a period that was a prime time for tourists and visitors to come down and spend their dollars in the economy. This measure was necessary for the Haitian government to obtain 96 million dollars (USD) from the European Union, Inter-American Development Bank, and the World Bank. You could say that the intentions were good from the IMF for its subsidy-lift which could lead you to saying that the Haitian government was simply trying to uphold its end of the bargain. You could also say that the uprising from the Haitian people was justified because of what happened to commodity prices, price and supply of gasoline, and subsequently the livelihoods of families across the nation when the price hike went into effect. I think another lowlight of 2018 and a clue that corruption is still alive and well was the issue of the Petrocaribe money. This refers to the $2.8 billion in low-interest dollars that has been given to Haiti since 2008 from Petrocaribe, a Venezuelan-led oil-purchasing alliance. “Kot Kòb Petwo Karibe a?” became a battle cry for the people of Haiti in our attempt to fight against the corruption that has been a common occurrence in Haiti. Where did the Petrocaribe money go? It is suspected that it went to ghost businesses and the political elites’ pockets, along with other financial misuses. I think that the people deserve to know what exactly happened, and the parties need to be held accountable. I am not speaking against corruption because I am trying to be politically manipulative or because I disagree with someone’s politics. I just know that corruption is going to be the thing that holds Haiti back from achieving what I know we can achieve as a country. Whether an internal commission or foreign independent body unravels the details of if the money actually went to government officials’ pockets and shady businesses remains to be seen. Hopefully the persistence and mostly non-violent demonstrating by the Haitian people will lead to bringing to light what exactly has happened in this case of corruption. How has Petrocaribe impacted the economy? On September 19th, 2018, my firm, Bridge Capital, organized the first National Day of Foreign Investment in Haiti. At this event, our goal was to connect entrepreneurs in Haiti to a group of American investors. Not only was this an opportunity to network and collaborate under a shared vision with the Haitian government, institutions, investors, and citizens, but there was the potential for dollars to be pledged to good business ideas, which in turn would create jobs, lead to higher productivity, and positively impact the economy. This was the inaugural event of a push and mindset shift that Haiti desperately needed. Entrepreneurs and businesses that are poised for growth exist in Haiti, and there are institutions like Bridge Capital and foreign investors looking to try and make an impact and create value through entrepreneurs and ideas they believe in, in a country where it is needed. All in all, a total of 2.4 million dollars (USD) was pledged to businesses that had pitched their ideas that day. In my previous posts, I looked at How Haiti Can Create Wealth and Enjoy a More Prosperous Future and How Haiti can be More Open for Business: Building a More Attractive Business Climate and outlined how and why foreign direct investment and an attractive business climate will benefit Haiti as it has many other countries around the world. Check them out to gain a more wholesome understanding on why something like this is so important. Added to the lost of investment is the opportunity cost for businesses losing much needed revenue to curb inflation and grow to create employment, taxes and overall economic growth. 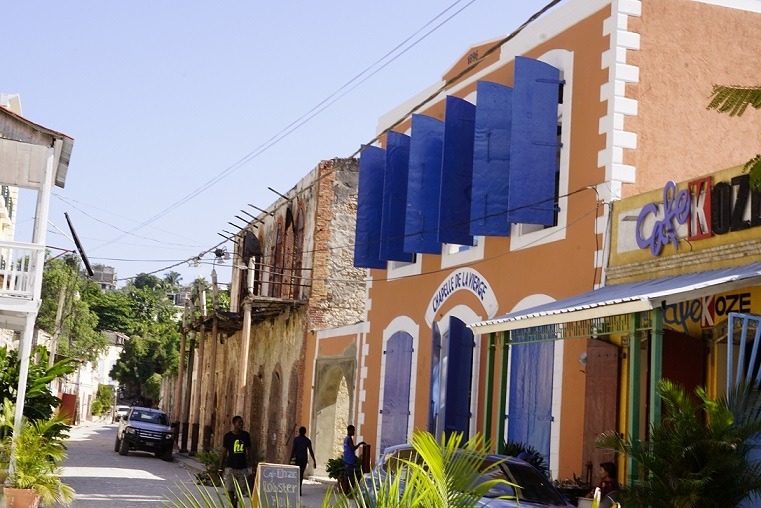 Businesses in lodging, transportation, food and beverages as well as entertainment lost significant amount of income during the days of unrest as well as near and long term opportunities from cancelled purchase orders, guests and travellers to Haiti. Can Haiti further afford such lost? Unfortunately, as you may have seen, in late 2018, we had to differ all monies pledged from the Foreign Direct Investment Forum, an amount which totaled 2.4 million dollars (USD) which included capital allocations to four businesses, due to political instability and elevated risks. Ultimately, this was a tough decision because of the impact we know that investments like these can have when a political and economic climate allows it to be a vessel for growth and success. So, the Petrocaribe scandal and the tension from the fuel price hikes caused instability, which kept away investment dollars that otherwise would have been helping reversed the escalading depreciation of the gourde and a positive impact for Haiti’s economy. One of the positives coming out of 2018 is the growth potential for textiles. From January to November the number of workers in the textile sector increased from 48,820 to 52,950. Several foreign countries have invested in Haiti in textile facilities, but the lack of the Haitian state’s support has caused the plans to not come to fruition. There was an investment by Palm Apparel Group in the amount of $15 million, but this investment echoed Bridge Capital’s decision to pull pledged dollars. It never went through because of the socio-political situations that festered in 2018. I believe that you can learn how to handle the future by looking at the past. It is time for us to strengthen our institutions and come together to get rid of the corruption that is keeping investments like these out of the country. As I look back on what happened in 2018, continuing to speak out for truth and for justice is one of the most important things I can do. I will also continue to speak out informatively about how the good and the bad actions of policymakers, institutions, and the people affect economic growth, job creation, and the livelihoods of the people in the nation that I love. When we start to understand the economics of things like halted foreign direct investment, government corruption, political instability, and a devaluation of the currency, all of which we saw unfold this year, we can begin to make better decisions about how we approach these situations and what types of scars they can leave on a country. 2018 was a year where GDP growth in Haiti gained .50 % but was below expectations and was one of the lowest growth rates in the Caribbean and Latin American regions. However, it was also a year in which we learn from 2018 and we turn the page. Looking forward, forecasted GDP growth is expected to jump to 2.4% in 2019 and grow again at 2.4% in 2020, according to the World Bank. Such miraculous growth in wealth creation would be a much needed answer to prayer! As post-natural disaster influxes of human and physical capital start having some breathing room to take shape, 2019 could be a year where change happens. People are fed up, and the government is in the spotlight. The young people try to leave to find employment in Brazil and Chile but are being sent back by the thousands. As I continue to work to educate and inform you on the many intricacies of development and economic policy in Haiti and how change is going to come for the better, I hope everyone will look to what I say with an open mind and with a confidence that 2019 is a year where we change how the world sees Haiti and how we see ourselves. In 2020, when we look back on what happened in 2019, I hope that we will see change, even if it is slow to come to fruition. Haiti’s economy is behaving like a business that is consistently ignoring its consumer preferences and end up of offering a product or service no one wants, completely out of synch and unhinged with reality. Business like this goes bankrupt. That means, most of the sectors that are competitive and are creating jobs and move double digit growth around the world are not even being considered by Haiti’s leadership. Let alone put in place the stability and policies needed for more businesses to pursue more opportunities to enlarge the size of the economy and create more wealth. Today, when the manufacturing of capital good, tech related products, capital markets and services industries are creating massive wealth, Haiti settles for consumer goods and low margins products like t- shirts and agricultural production (when that’s even there) with zero presence of a real financial market to capitalize one while exporting good most of the time within their natural state. It’s an economy with less than minimal leverage and that’s a sign of extreme lack of productivity. Ultimately, Haiti’s economy is not performing to the level that will move its citizens out of poverty. The growth rate is simply too insignificant. The road for Haiti is bright considering the opportunities but the challenges are equally significant which means the country is stagnant. The only way forward is through better leadership and a drastic change of direction for the economy. Be watching for a blog on why strong institutions matter (as discussed briefly here) in the fight for strong economic growth and a stable business environment.